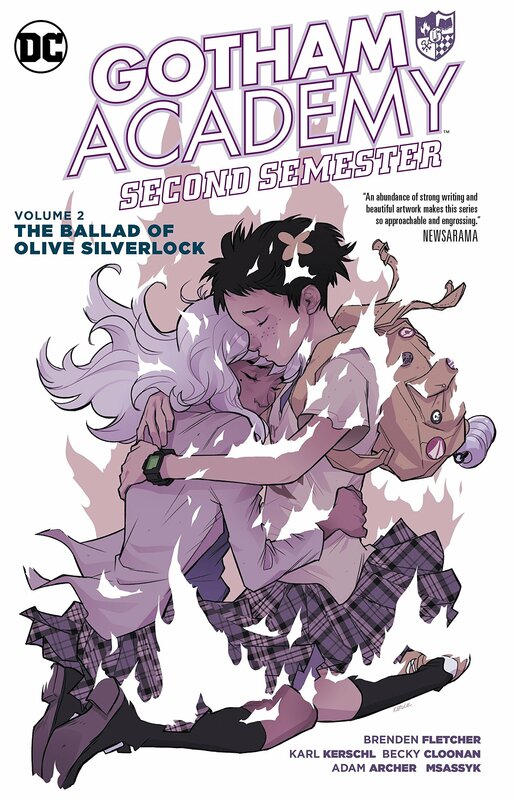 Four collections previously, Gotham Academy began with the introduction of Olive Silverlock to the most prestigious school in Gotham. She’s had a troubled past, but what she and the readers didn’t know until the previous Welcome Back is exactly how troubled. There’s been a connection between Gotham’s oldest families dating back four centuries, and it encompasses some very unpleasant secrets, now revealed. That revelation has caused Olive to be possessed by an ancestor out for revenge and awakening Olive’s abilities to enact that. 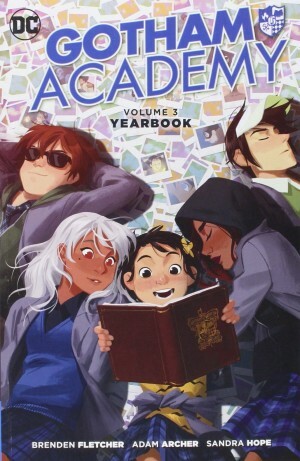 The current generation of Gotham’s oldest families include a couple of the city’s prominent villains and Batman, and throwing in three other characters from Batman’s villainous roll call makes this the Gotham Academy collection most populated by familiar faces. 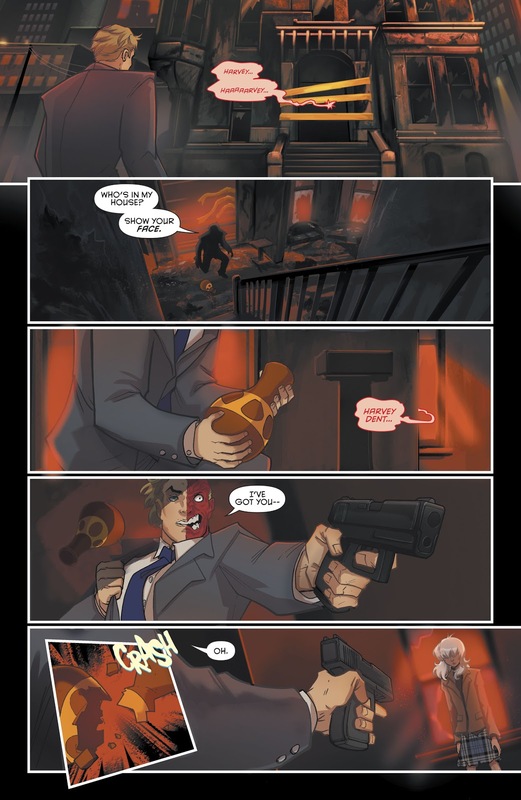 In some ways it moves Gotham Academy away from what it’s been, and nearer a traditional superhero adventure. However, the plotting also pulls a lot together, making sense of what might have seemed gratuitous earlier in the run, such as Damien Wayne’s brief appearance, although he borders on uncharacteristically friendly. As previously, Adam Archer supplies the lively figures over atmospheric painted backgrounds supplied by Msassyk, and they seem to be working far more closely than previously, the contrast between paint and ink with flat colour provideing a very distinctive look. 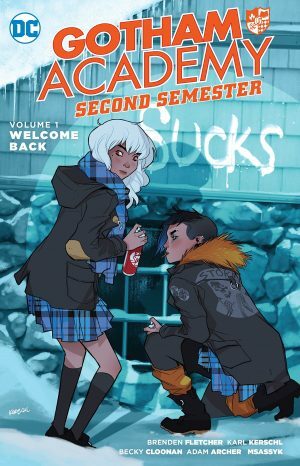 This is a series requiring artwork strong on defining what people are feeling at any given time, and Archer’s extremely good at that, particularly with Maps, by far Gotham Academy’s most endearing personality, her enthusiasm and capability infectious. 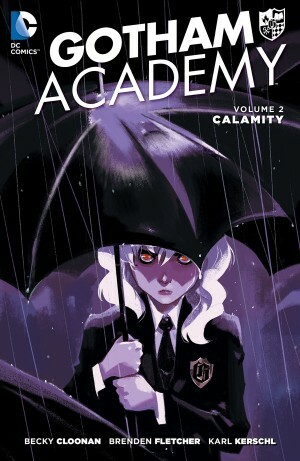 All in all, everyone who’s been following Gotham Academy will be disappointed the series has ended, but pleased with the way plotters Becky Cloonan, Brenden Fletcher and Karl Kerschl pull everything together for a satisfying finale. It’s Fletcher who actually writes the dialogue, and he’s fully responsible for a single chapter look back at ‘The Carnival Midnight’, occurring before the other events of Second Semester. It’s a more touching Scooby-Doo style story with some fantastic illustration by Jon Lam, and for the first time presenting the Academy headmaster as something more than a stern and foreboding figure. We’re left to take a lot without explanation, though. 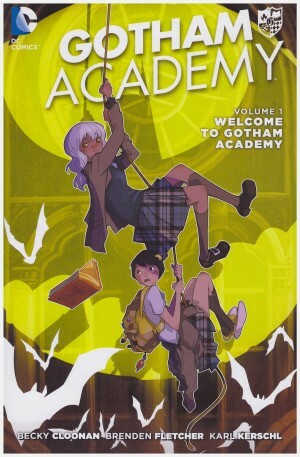 Gotham Academy has been a consistently entertaining series, if not always as charming as might be expected, but welcome for DC attempting to present a young adult series largely avoiding Gotham’s well known faces (although The Ballad of Oliver Silverlock isn’t the best example of that).